About two years ago we brewed a beer called Flamingo, a black I.P.A. that captured the hearts and minds of a great many. 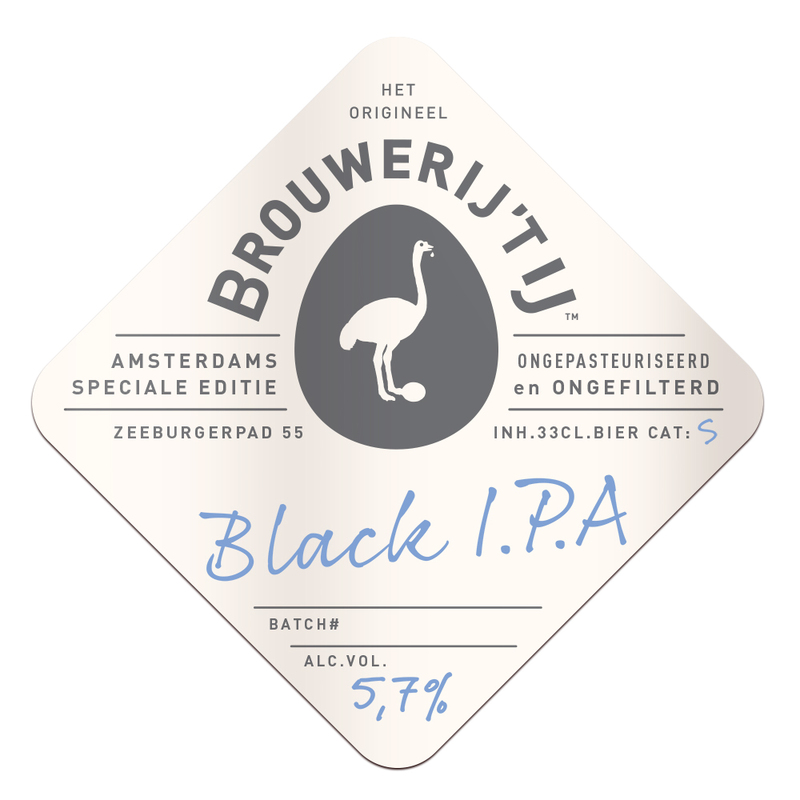 We decided to heed the calls of those fans of deep dark, hoppy beer and brewed a new black I.P.A.. We build it on a solid, almost stout-like base of deep roasted malts. As a result, this thick, firm bodied beer has beautiful tones of coffee and chocolate. Although we used a whole range of different hop varieties this beer is not that in-your-face-hoppy. The bitterness does not overpower the sweet, creamy side here. The dryhop turned it slightly fruity too. This pitch black beauty is full of flavor and, despite its decent 5,4% alcohol, not for the faint hearted. Unfortunately, this limited edition Black I.P.A. is sold out. One comment on "Black I.P.A." Black IPA….quite possibly the greatest beer ever created!